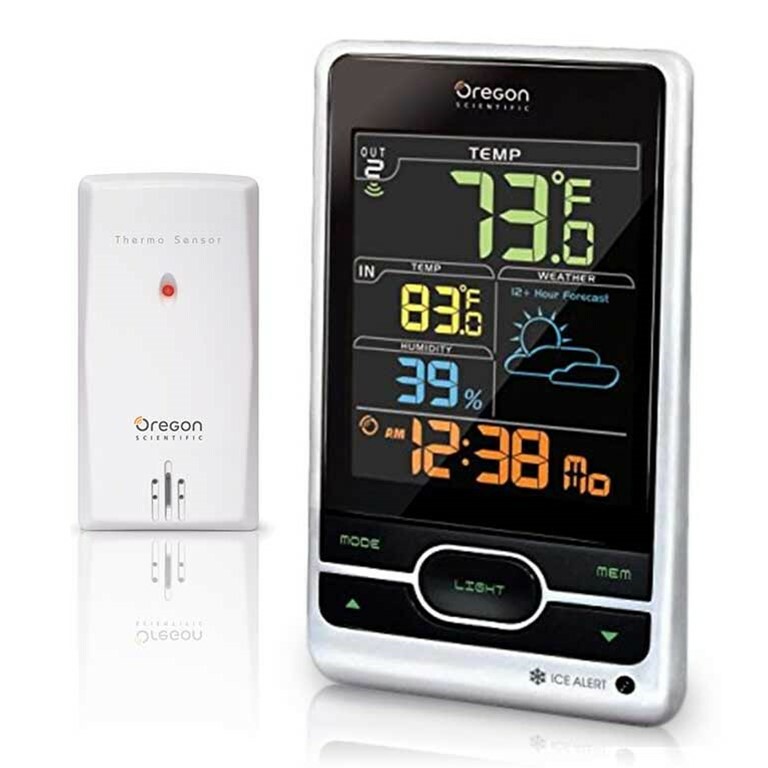 Oregon Scientific BAR206S / BAR206SA Wireless Weather Forecast Temperature Station - Color LCD Screen forecasts the weather 12-24 hours in advance, displays indoor and outdoor temperature, and sets itself to the US Atomic Clock signal. In addition, this home weather station keeps track of your indoor humidity levels. All on a color LCD screen. Use the ac adapter for continuous illumination or press the light button to illuminate the display for 5 seconds.